Lynx offers Well Tape Processing and Well Log Digitisation. We have a wide range of expertise in handling both a variety and combination of digital and hard copy well log data and fully recognise the need for a definitive, verified raw data set as the basis for any further work. Upon receipt, all wells are logged into a tracking database. the logging summary sheet or drilling record taken from the well report, together with the composite log, provide as comprehensive and complete a list as possible of what was actually logged at the well head site. Very often, especially where wells have been acquired via partners or trades, data sets held by a particular company are incomplete. Lynx will liaise directly with third party oil companies data departments, CDA and storage contractors in an attempt to obtain any outstanding entitlements. Tapes (and hard copy logs) are catalogued, paying particular attention to the identification of original logging tool combinations. Lynx have a selection of proprietary and third party software, which can be used to reconcile the well data. Lynx regularly decode DLIS, LIS, LAS and BIT formatted data from a variety of sources including magnetic reels, DAT (4mm) and exabyte (8mm) and have the ability to convert between formats if required. Tapes are loaded to disk as tape image files. Summaries are made of these files, which not only decode all headers, remarks and optical display details (where available) but also provide a formatted index identifying logical files, channels, depth coverage, sample rates and minimum/maximum channel (curves) values. While maintaining the original sample rate, selected channels are decoded for verification, either by merging the digits on screen with scanned images of the logs or, as in most cases, by producing high quality overlay plots for comparison with the hard copy presentations. 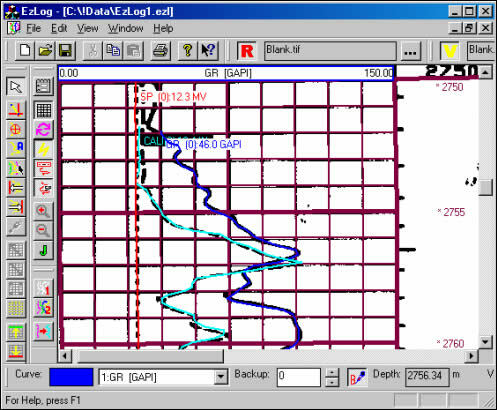 All log runs are depth-matched, using the first valid run in the hole as base depth reference. Data are also correlated across logging runs, not only on gamma-to-gamma comparisons, but also with sonic, resistivity and neutron/density correlations. all shifts are audited. Curve and tool mnemonics are all standardised to meet each client's particular specifications. Header comments from the hard copy logs are noted in an attempt to identify the possibility of improved or corrected data. All anomalous data or depth mismatches, not reflected on the hard copy, are either re-requested or corrected where alternative digital data is not available. Spontaneous Potential curves are normalised, Neutron scales standardised, and, if required, Sonics de-spiked. At all stages a high level of quality control is maintained. all edits and spurious data sections, which were not relogged at site, are audited. Along with the processed data, raw data and repeat sections can also be preserved as a secondary dataset. Output is normally to LIS or ASCII, with proprietary formats on request. A processing report is also provided, and full header information can be encoded and supplied either as part of the lis image or as a separate output. Our digitisation process is a fast and efficient method that accurately converts paper log data to digital API format (LAS/LIS) which can then be used for further processing (see above). The digitising works in either multiple-curve auto-tracking mode or single-curve auto-tracking mode for monochrome, 8-bit colour or true-colour scanned images. For older and more difficult logs a semi-automatic mode can be used and in the worst cases, a manual approach can be used to convert the logs. The advantage of working with the raster file is that it can be used as a backdrop to digitize against in a "heads up" way. this software also allows the integration of well curves that are available on tape with vectorised output. There are numerous qc and auditing modules to help the user. For more information see our EZLOG well log digitizing system and Logview wireline curve viewer, or contact us for more details.